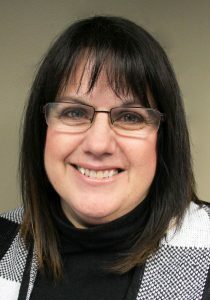 Green Bay, Wis. – Pam Jardine, an experienced project-management professional, has joined H.J. Martin and Son as a Project Coordinator in the company’s fixtures department. In that position, she will assist project managers with the coordination of crews, subcontractors and finances on projects for the national retail accounts of H.J. Martin and Son. Jardine spent the past 30 years as a project coordinator at The Stiegler Company, an electrical contractor based in Green Bay, Wis. With Stiegler, she was responsible for workforce scheduling, ordering materials, equipment rental, permit acquisition, out-of-town project travel arrangements, invoice processing and inventory control, among other items. She began her career as a data entry clerk at Electronic Data Systems in Green Bay. Jardine is a graduate of Green Bay West High School.